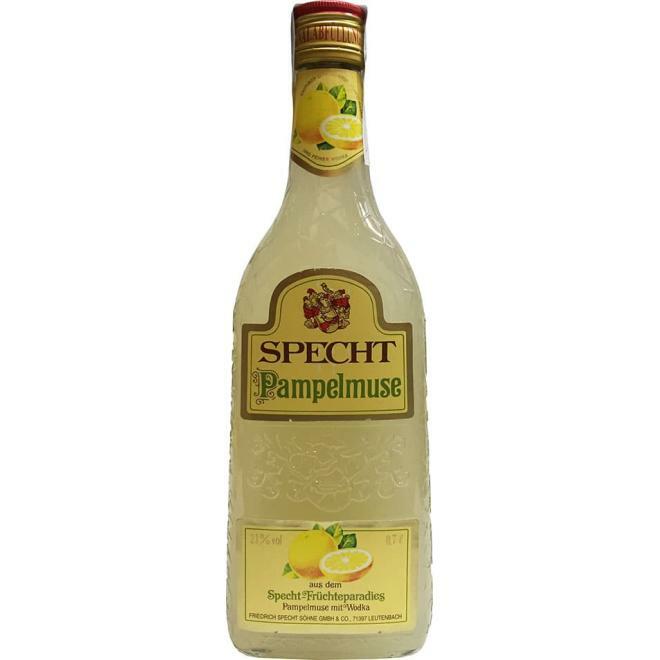 Speech Pampelmuse its a delicious German Vodka flavoured with fresh grapefruit. Excellent as a digestive after food. It is only allowed to use fresh fleshy fruit or the fresh must with or without stone from the particular fruit. The addition of sugar is prohibited as all the alcohol must come from the fermentation of the fruit. The distillation needs to be carried out in a process so that the distillate keeps the aroma and taste of the fruit. Delicious German Vodka flavoured with fresh grapefruit. Excellent as a digestive after food.